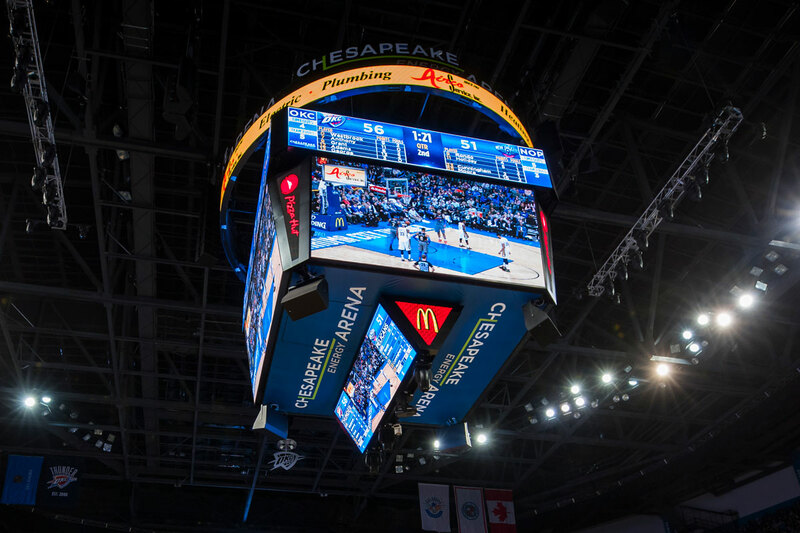 Even before the inaugural 2008-09 season tipped off, the Thunder and Chesapeake Energy Arena worked together with one common goal: to give fans the best possible game-night experience. 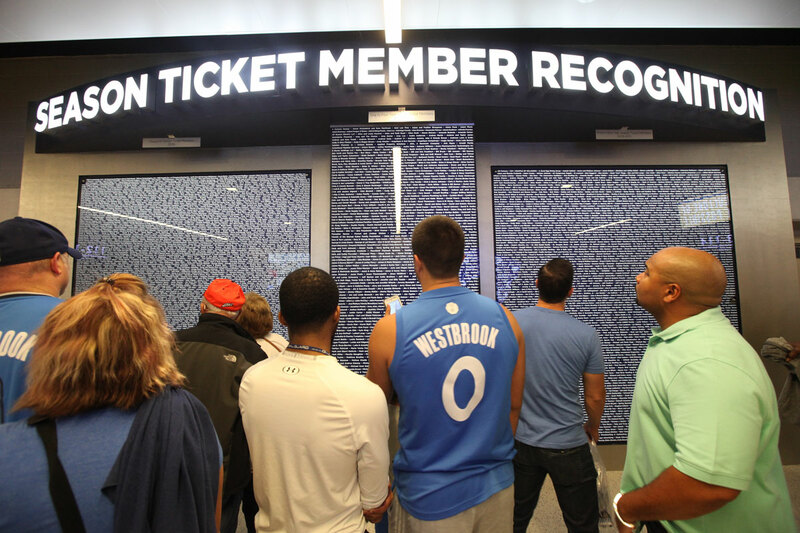 That commitment has spearheaded a number of changes and enhancements over the years, creating a first-class arena that, combined with the Thunder fan-centric service, make Thunder game nights special. It was the centerpiece of renovations that took place in the months that followed the inaugural season of Thunder Basketball – the new “Thunder Vision” scoreboard. At 31 feet tall and 35 feet wide, it was impossible to miss, offering 10 video screens and an LED ring. A unique feature of the scoreboard was the tilted video panels on the bottom of the scoreboard, a first in sports with the goal to provide easier scoreboard viewing for players, coaches, referees and fans in the lower seat levels. Love’s Loud City went through a number of changes during the months leading up to the start of the 2009-10 season, all aimed to enhance fans’ game night experience. A brighter, more vibrant atmosphere was achieved through enhanced lighting and new flooring, which featured color tracks to serve as subtle directional guides for food, beverage and common areas. The revamped space also saw the installation of 30 new TVs, total makeovers of the men’s and women’s restrooms and additional food and beverage options. 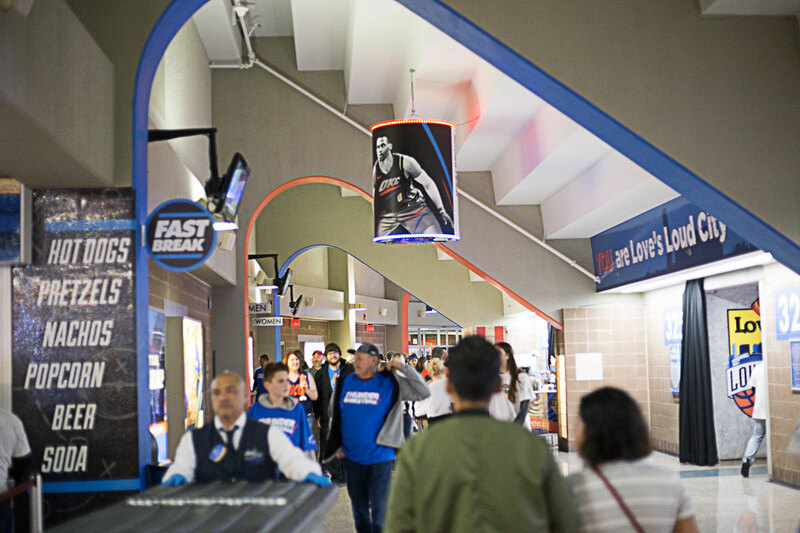 The ensuing seasons would bring additional enhancements, including this past season’s addition of cylinder lighting featuring Thunder players. Two high-profile additions were among the list of new features added to the arena before the start of the 2013 season – the creation of the Grand Entrance of the southwest side of the facility as well as the OU Physicians Kids Zone on the main concourse. 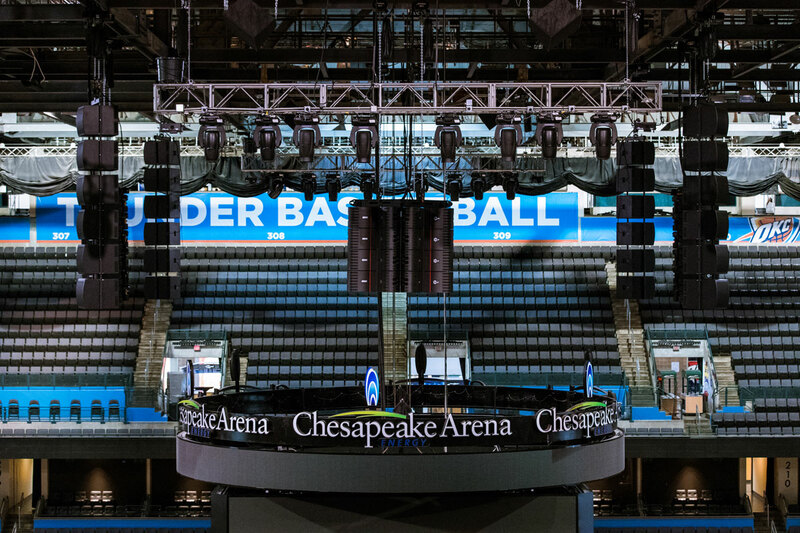 The completion of those projects brought to a close a number of improvements to Chesapeake Energy Arena that were funded by a one-cent sales tax, approved by voters in 2008. 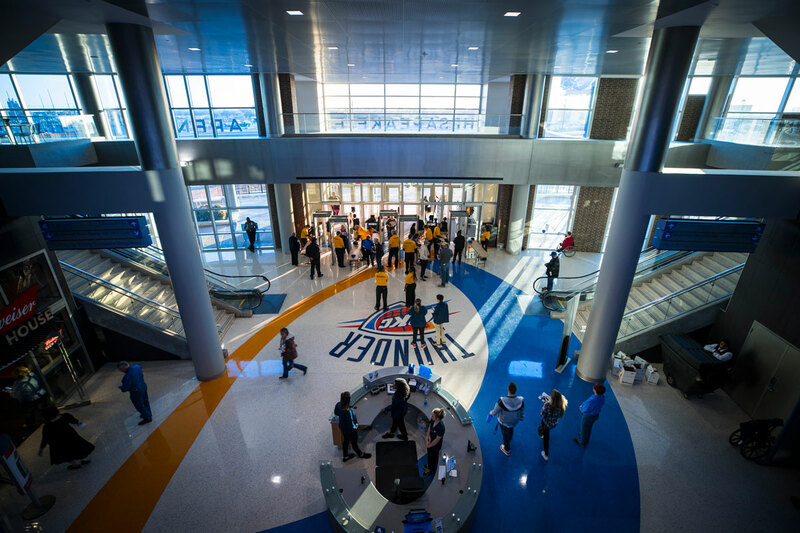 The Grand Entrance features a soaring ceiling a large Thunder logo in the floor; the built-out glass-and-metal structure creates an open, contemporary feel. 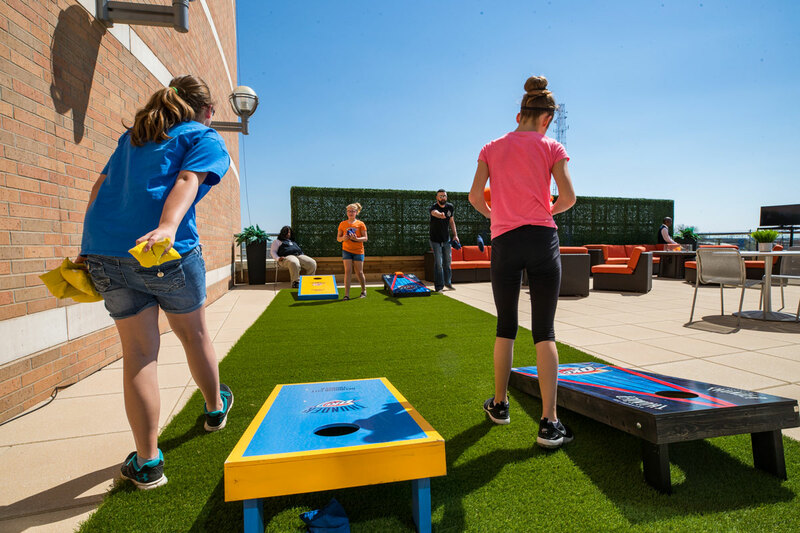 The Kids Zone is an interactive space that offers families a place to bring their children for playtime before and during Thunder games. The summer of ’09 featured a number of projects and upgrades as part of phase one of arena renovations. Among the projects were two in desperate need of attention: renovations to the Courtside Club and the Jack Daniel’s Old No. 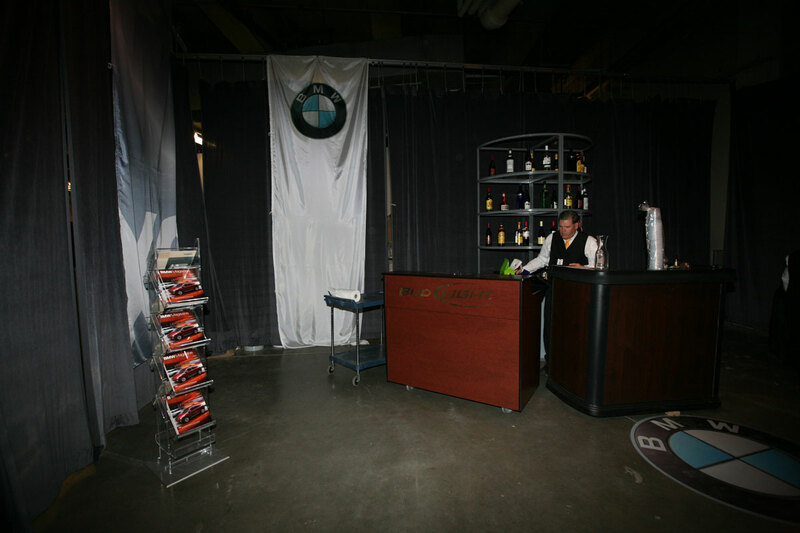 7 Club, the former of which was known as the BMW Club and was set up in the loading dock using pipe-and-drape to provide a sense of exclusivity, the latter staged with pipe-and-drape covering dry wall in a temporary storage facility that connected to a lounge. ARENA GETS NEW TENANT: US! 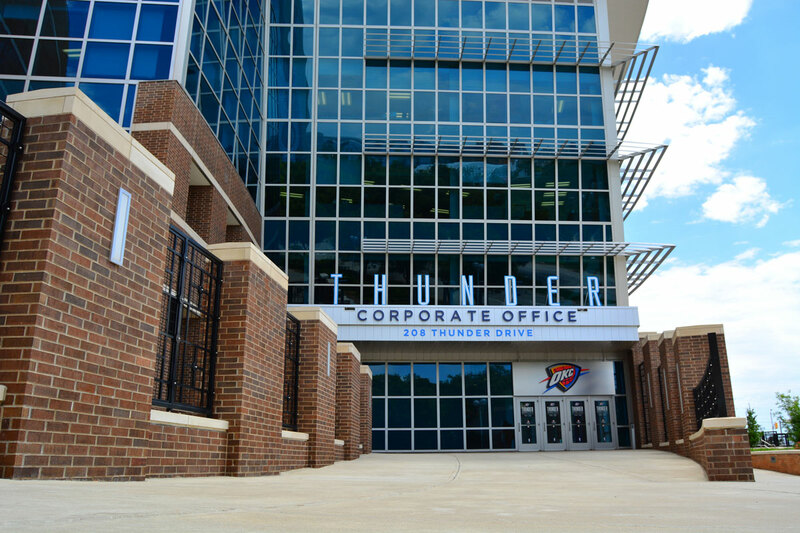 In a long anticipated transaction, the Thunder corporate office established a permanent address when it moved out of its Leadership Square space and into Chesapeake Energy Arena in September 2013. The organization previously had filed an application with the city to change its street address to 208 Thunder Drive, citing in its filing that the name change would “celebrate the deep ties between the Thunder and our community.” The application was approved. A new display wall as unveiled on the 100-level concourse last October to recognize the support of Season Ticket Members and their importance to the Thunder organization. The permanent, interactive wall contains the names of Season Ticket Members and includes individual fan stories and photos. Two new patio spaces opened during the 2016-17 season, both designed with fans in mind. Jack Daniel’s Old No. 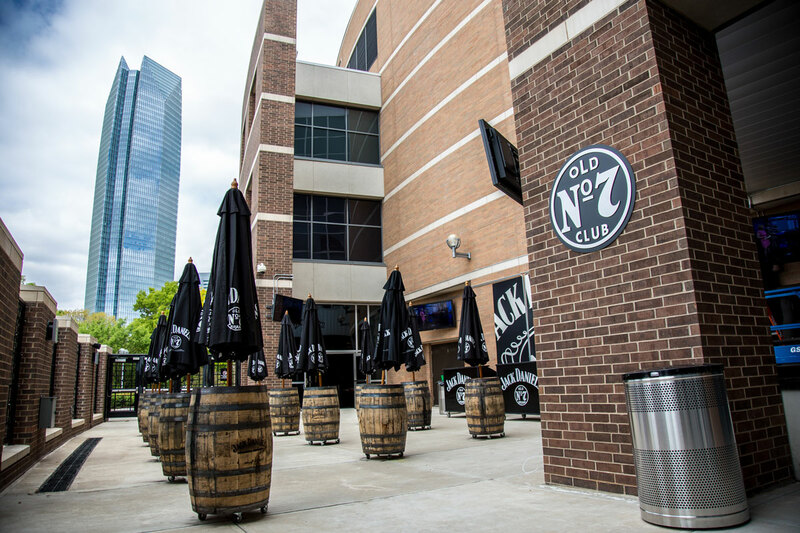 7 Club expanded its footprint to take its offerings outside to a patio space that includes the club’s full food and beverage menu. Other features include a fire pit, multiple TVs and picnic tables for community seating. The Thunder Deck opened above the Grand Entrance on the Cox Club Level. 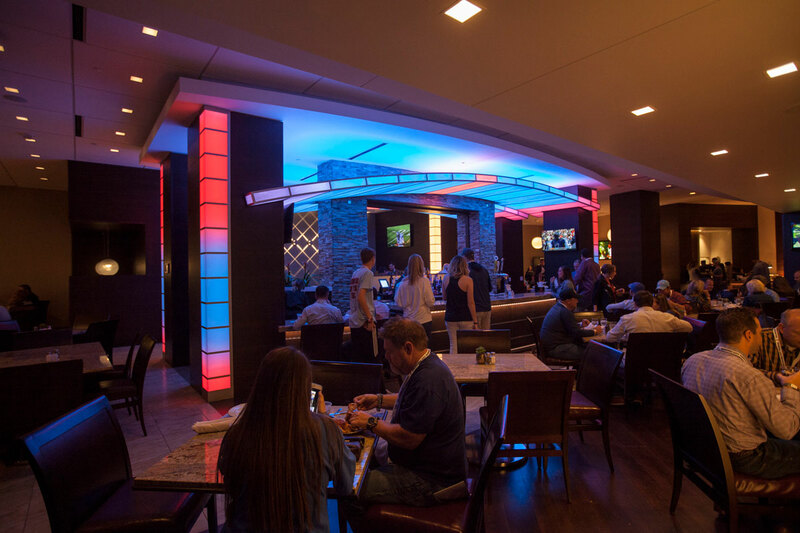 A full-service bar is located nearby the space that includes numerous lounge seating options as well as Thunder-themed corn hole games. 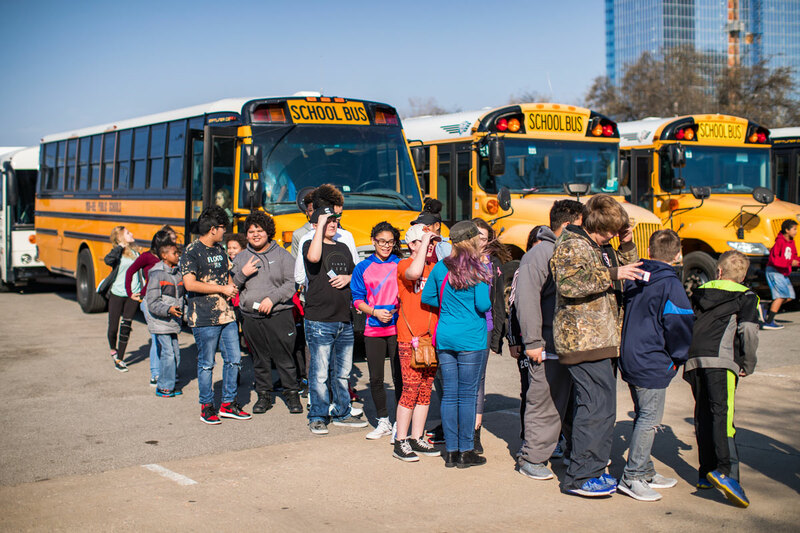 It is a scene like no other: Hundreds of yellow school busses from all across Oklahoma navigating the streets of downtown and sitting in parking lots surrounding the arena, with 17 thousand-plus cheering kids inside. 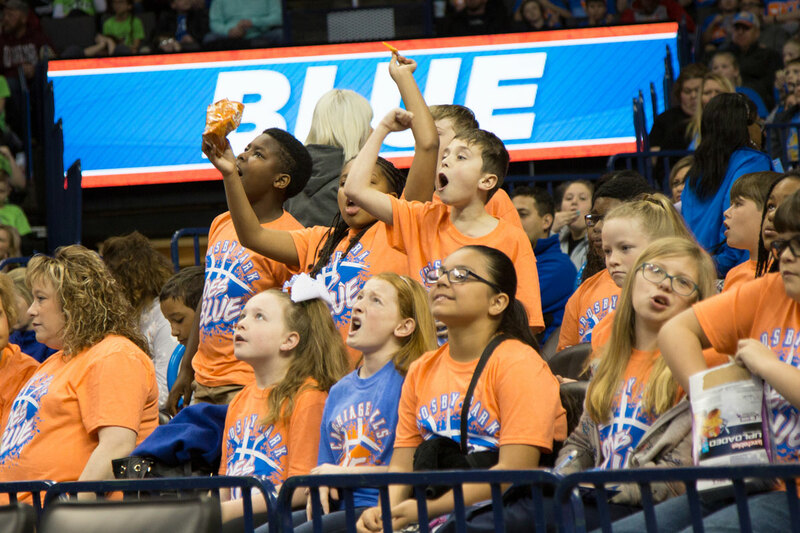 The annual Field Trip day game is a highlight on the Oklahoma City Blue schedule, matching the Thunder development team against another G League team in a loud and colorful setting. In March, the Blue re-set the league’s single-game attendance record, with 17,695 fans. This past February, the Thunder launched the first Thunder Run. 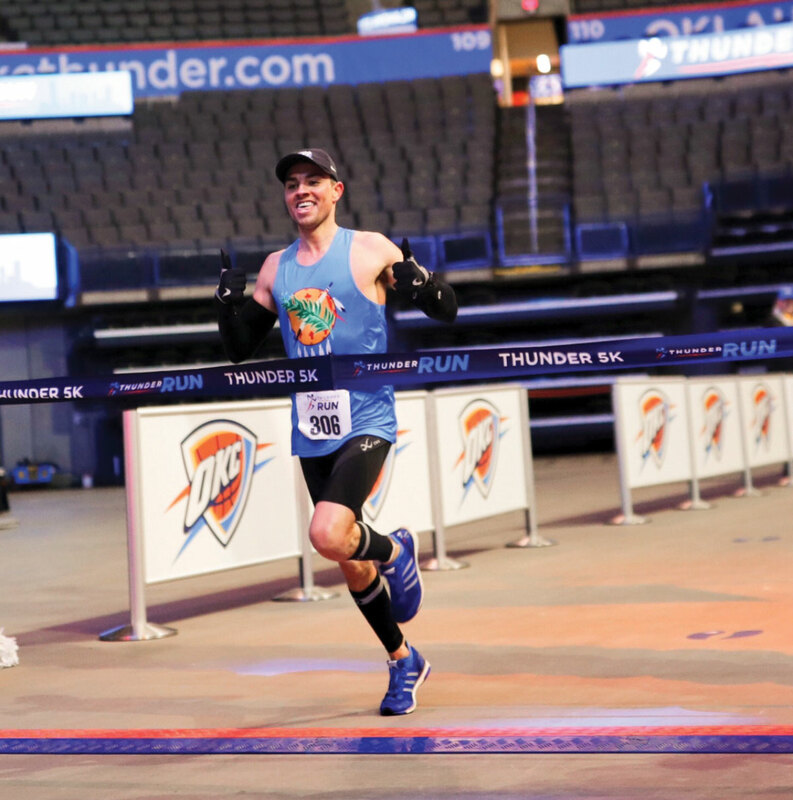 The inaugural event consisted of two races – a one-mile Rumble’s Family Fun Run and the Thunder 5K – and offered entrants a unique experience: the finish line was inside the arena! Fans couldn’t see the biggest change that took place inside the arena heading into the 2016-17 season, but they certainly could hear it. The arena’s sound system, installed when the facility opened in 2002, was upgraded to include cutting-edge technology, placing it among the most customizable systems in U.S. arenas. Among its highlights: adaptive array technology that allows sound inside the arena to be “steered” with precision; ultra high clarity, which achieves a higher quality sound at a lower decibel level; and “self-healing” technology, meaning if one speaker fails, the other speakers in the array adjust automatically.